Our fourteen year old client was a well-liked young man who was loyal to his friends and even more loyal to his family. He enjoyed a wide circle of friends in his Redondo Beach neighborhood, however, some of the “friends” were not too friendly in return, or honest. Distilled Down: Redondo Beach pier arrest, our client hits victim in head with handgun while co-conspirator hits him with baseball bat, delayed entry of judgment and dismissal. One day, as some of his friends were at his home, one of our client’s friends took the cell phone belonging to our client’s sixteen year-old sister. After his friends left, the client’s sister reported her cell phone missing to her brother. Our client therefore called the number and one of his so-called friends answered. The friend said, “come and get it, but be ready” and then hung up. Our client, not really knowing what was meant, but knowing that his “friend,” four years his senior, was rumored to be in a gang and violent. Our client decided to arm himself with an unloaded .45 caliber pistol, which he had stolen from a parked car near the Redondo Beach Pier. When our client met up to retrieve the phone at the Redondo Beach Pier at night, a baseball bat was in the hands of the cell phone thief. As our client approached to retrieve the phone, our client’s “friend” swung the baseball bat at our client’s head. Our client ducked and pulled out his gun, which he used to hit the other boy over the head. The “friend” dropped the bat and another young man picked it up to swing at (and connect with) the thief. The beating took but just a minute, but the thief was injured to his head and shoulders. He was not bleeding, but the blow to his head certainly injured him. Our client ran away. 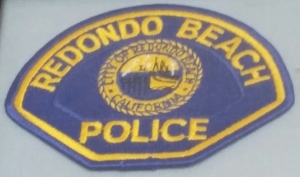 Police arrived within minutes (the Redondo Beach Police station is just a few blocks east of the Redondo Beach Pier) and arrested our client, who was walking home. He was charged with a felony for assault with a deadly weapon, a felony for receiving stolen property (the gun) and possession of a firearm by a minor. He faced a maximum of 22 years and three months if convicted on all three counts as an adult. At the arraignment, our client was denied release to his parents, which was tremendously stressful to our client and his parents. After all, our client was only 14 and rather naïve. Our client was held at Los Padrinos, which was quite sobering for a fourteen year old. A plea bargain allowing the client to be released to house arrest was reached rather quickly, but the client had to admit to one felony, which was significant. The other two counts were dismissed. Furthermore, our client was required to perform one hundred hours of community service once house arrest ended, which it did after approximately sixty days. The client was also required to participate in weekly anger management counseling sessions and remain thereafter on formal probation. Probation was expected to last a full year, after which time the plea would be withdrawn, the case dismissed and the records sealed so that our client’s record would remain clean and thus, this very serious incident would not compromise his college admissions. What Is Delayed Entry of Judgment?